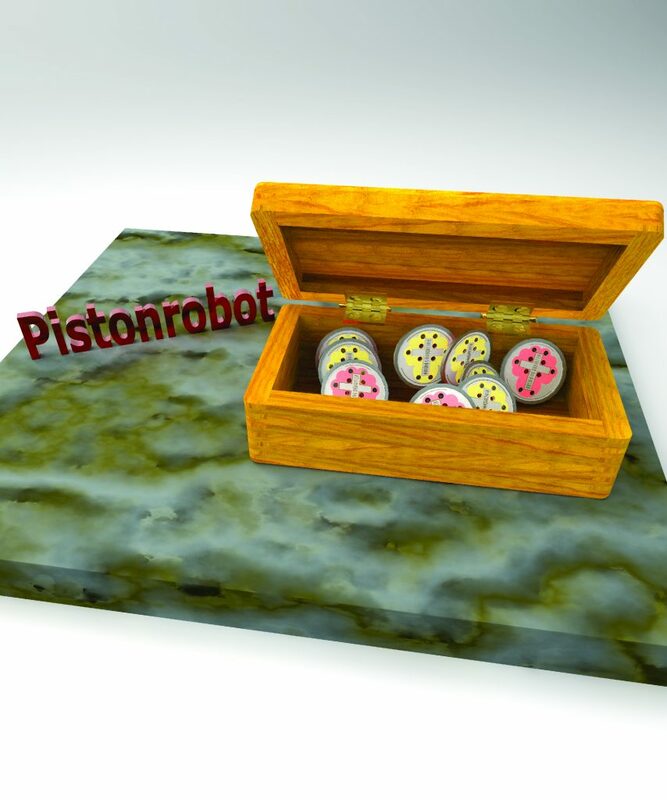 Here’s some KeyShot package files on topics other than the Pistonrobot. 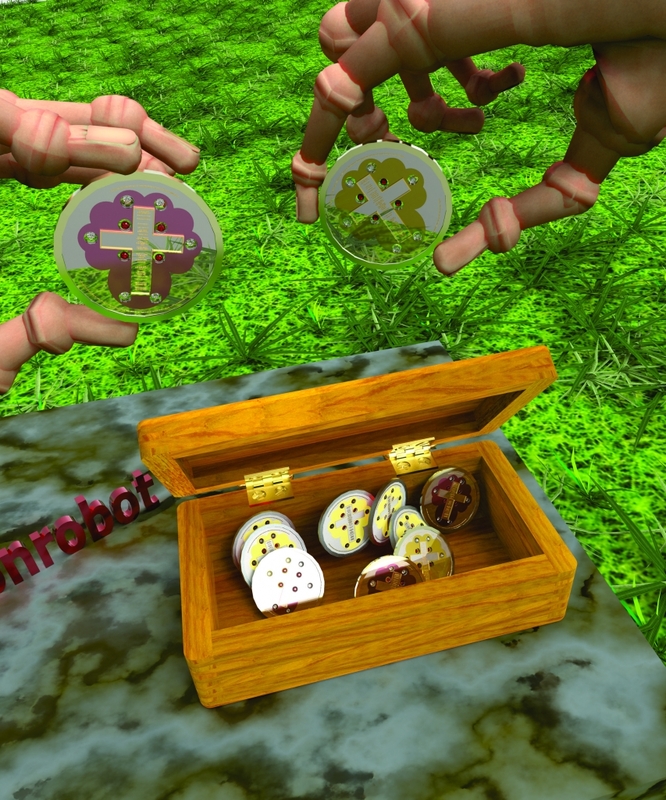 This ksp file is used to render out The Turning Prayer images of the box and the coins and the hands. Here’s an image of this ksp file. This is the most recent version of this Coins in the Box KeyShot rendering. I finally got all the materials correct and then put the coins with the correct materials in the box and in the hands…whew! A big png file type version of this image (32mb png type file at 4500×5400 pixels) is available at this page of the website. The ksp file below is what one uses to render out the image of the 9 coins in a wooden box on a marble block.